Before booting from an usb stick you better check your hardware settings. Boot into your hardware settings or BIOS or UEFI settings. Then check following settings. It can have different names and different keyboard shortcuts to reach it. 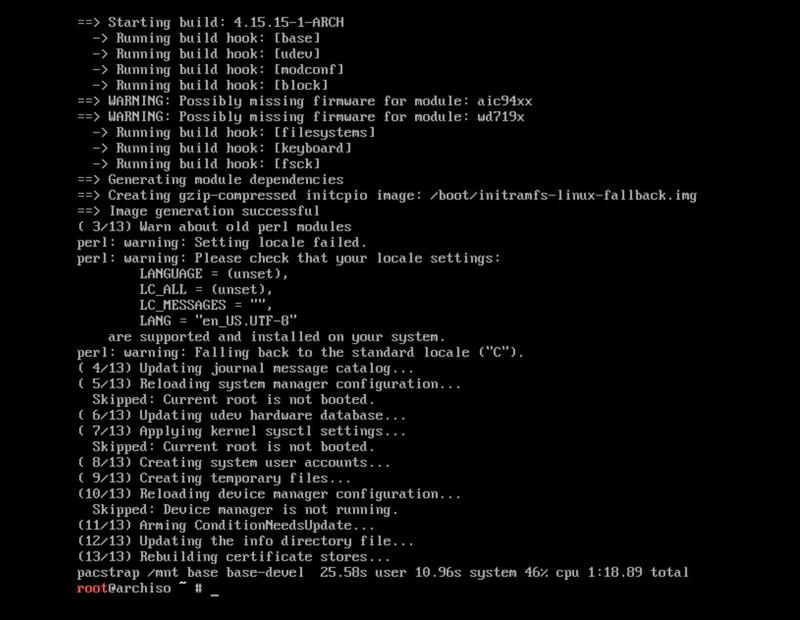 The image above is proof that we are booting with BIOS. The iso will boot up instantly and provide you with a prompt. MBR or EFI we end up at the same prompt. Arch Linux standard boots into an US keyboard layout. Many of us do not have to do anything. Just check the main keyboard keys and see if they all work. But others need to change for example from qwerty to azerty. We have used this command to have a list of all possible keyboards out there. Finally I will use this code to have my Belgian azerty keyboard. You choose your keyboard layout. Then you see this message “No such file or directory“. Normally you will be connected to the internet out of the box. On virtualbox you will ALWAYS be connected IF your host computer has internet. I added “-c 4”. Now it will only ping 4 times. The name of your ethernet (or wifi) interface is important to know. In my case enp0s3. You will need it later in conkies etc. We tell our computer to sync the date and time. At this point we do NOT say what timezone we are in. This is the most dreaded part and it is also the topic of much debate online. We will use a minimal partition in order not to complicate things. Since I made only a 30GB harddisk in my virtualbox, I will only take 10GB for my swap partition. Rule of thumb is twice your RAM for the size of your swap. With the commands fdisk -l or lsblk we discover that our harddisk is named /dev/sda. That is all we need to know to get started. Then we start cfdisk to partition our harddisk. You can also use fdisk, gdisk or parted. I choose to go with this more or less graphical partitioning tool. We have choosen to install BIOS so we choose now DOS. On a virtualbox and on a freshly bought ssd or harddisk you will get the same image. However if you are reusing a harddisk, you will see lines (partitions) on there. Delete all the partitions untill you have the same view like image beneath. Notice the words Label: Dos in the third line. If that is not the case, first type this in a terminal. Use the arrow keys to move around cfdisk. Let us create the root partition. Press enter on the New menu and type 20GB, choose primary and press Enter. The type is set to Linux and that is correct. However do not forget to select Bootable for this partition. You will see an asterisk in the column Boot. Now that the ROOT partition is created. Let us create the swap partition. As a rule of thumb it must be twice the RAM. In my case that would be 32 GB and I have only 30GB in my virtualbox. I will take 10GB for SWAP in this exercise. Move the selection to Free space. Move the selection to New and press Enter. Choose Primary. We take all the space that is left for Swap and press enter. 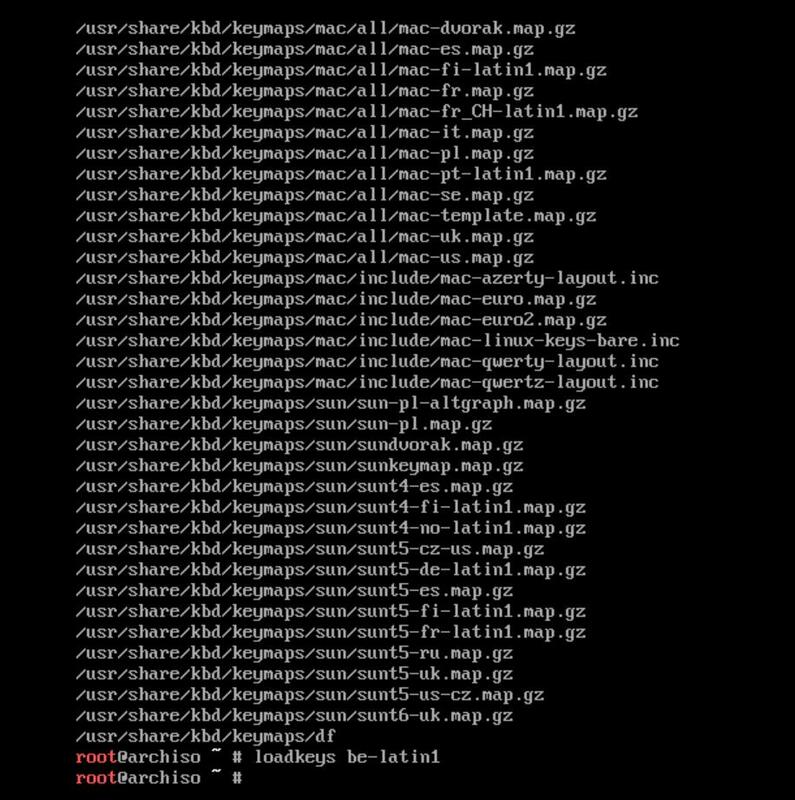 Move the selection to Type and choose Linux swap. We will stick to 2 partitions. We can make more partitions if you want. More info about partitions here. This should be the result. Then we choose Write. When you typed yes and confirmed it with an Enter you can select quit. When typing lsblk things must be changed. We have now 2 partitions. We have sliced our harddisk into 2 pieces but we did not format them yet. That is what we will do now with these commands. We need to mount our created root partition into our linux hierarchy. You can select the mirrors that are closest to you geographically BUT it does not mean they will be the fastest. Normally I will change nothing until the speed is not satisfactory. As an example I changed some of the settings with nano and showed you how to save it then. 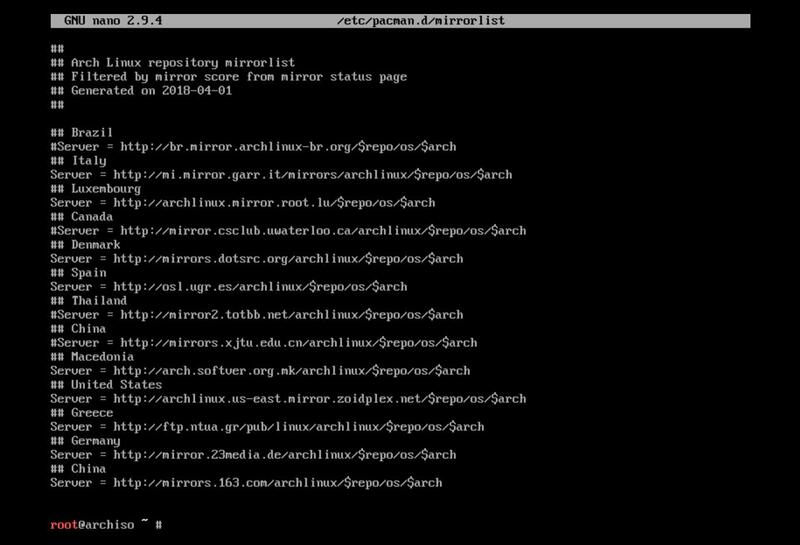 Read the info about mirror servers as this is quite important. We are going to install the base and base-devel packages on our mounted partition in /mnt now. This will become our Linux system lateron. Let us use the script genfstab to generate a fstab file so linux will know what partitions we have like root and swap. If the text underneath shows “&gt;” again we actually mean “>“. Let us now move inside your future linux system and change elements there. 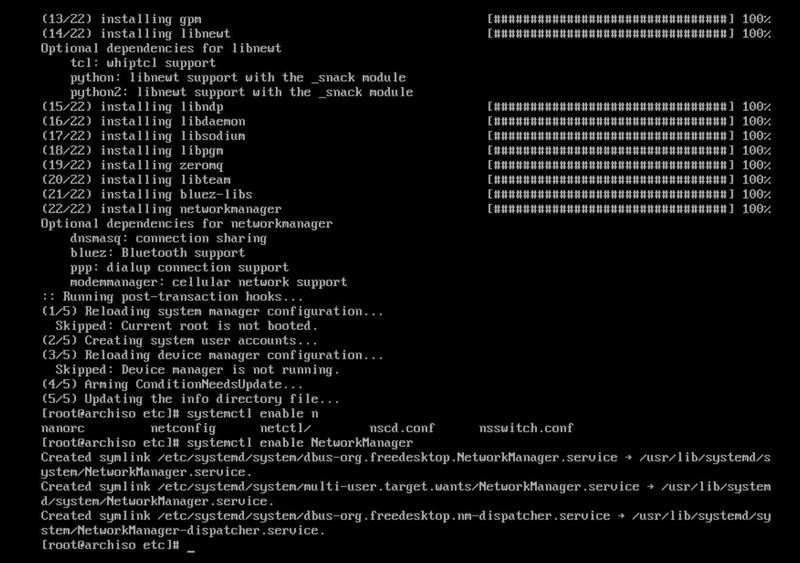 With exit you can exit this chroot environment should you want it. I can only recommend you read the article about chroot. It helped me fix a broken Arch Linux system in the past. Here we are going to set our timezone aka where do you live according to Linux. We investigate all the possibilities by navigating to the folder zoneinfo. Then we set the hardware clock from the systemclock with this command. In the locale we are going to set your localization. What language do you want the system to be in? You can investigate by using this command and uncomment the language or languages you prefer. In my case I used en_US.UTF-8 and deleted the hashtag in front of it. Use the Page up and Page down key to navigate throught the list. You need to find out your language. We will also set the variable LANG or language to reflect the same choice. IF you changed the keyboard layout like me you should do this too. 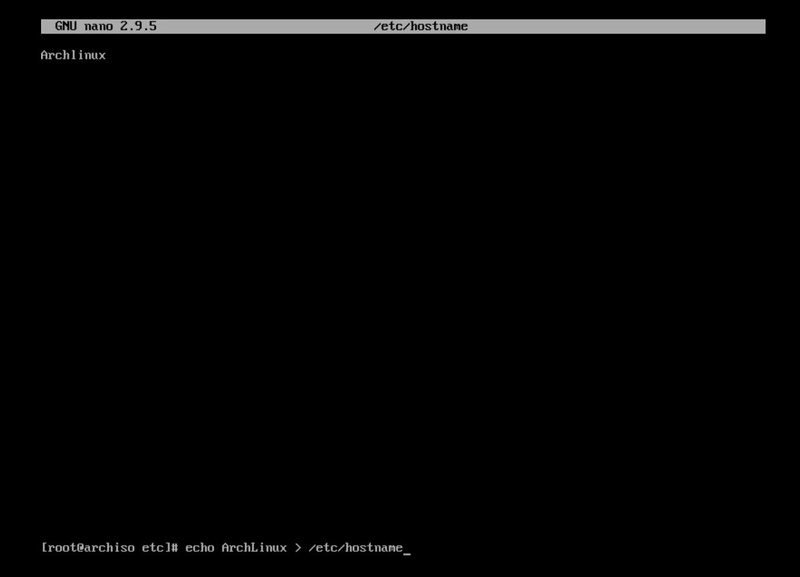 Let us make sure Arch Linux remembers to use my azerty keyboard after rebooting. We need to give our computer a name. Best is to choose one with no special characters and no spaces. Write the name you have choosen for your computer. Then we save the file with CTRL + X. We did the shorter alternative in the video this time. Ps. 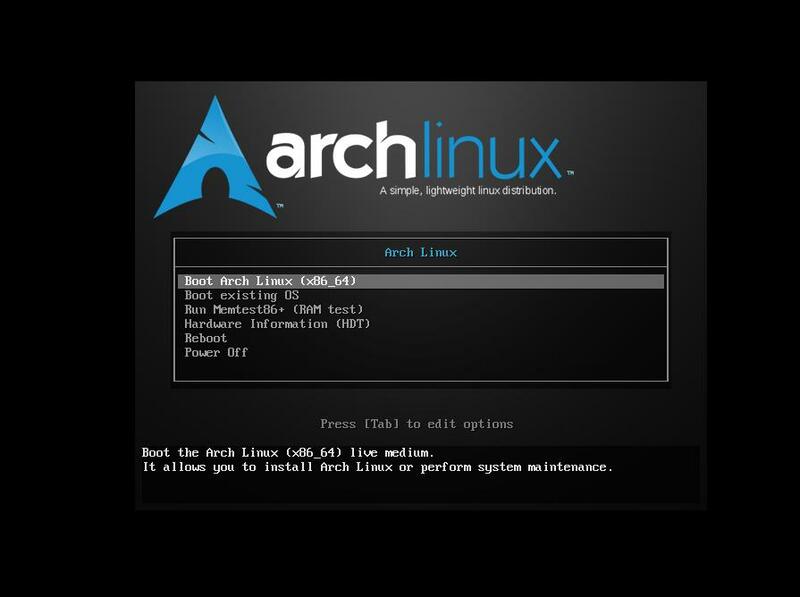 I mixed up the hostname file between tutorials ArchLinux, Archlinux and ArchErik. Just take one unique name. Then we edit our /etc/hosts file so it reflects this code. Use the TAB to align them. I have choosen ArchErik as hostname for my computer. You change it to your name. We will use the application NetworkManager afterwards in any of our desktops we would like to install. Therefore it makes sense to install and activate this application right now. Make sure you type NetworkManager in the second line. It is case sensitve. You will get 3 symlink lines as a result. When we boot we will have internet on board. Creating a new intramfs is not required according to the wiki as result I will not create one with the command mkinitcpio -p linux. But on ArcoLinux we made an article about the ugly lines when you shutdown. In that article we edit /etc/mkinitcpio.conf and add shutdown to the hooks. We will first experiment with the standard configuration and see what we get. I show you in the video where you can add this “shutdown” if we need it lateron. 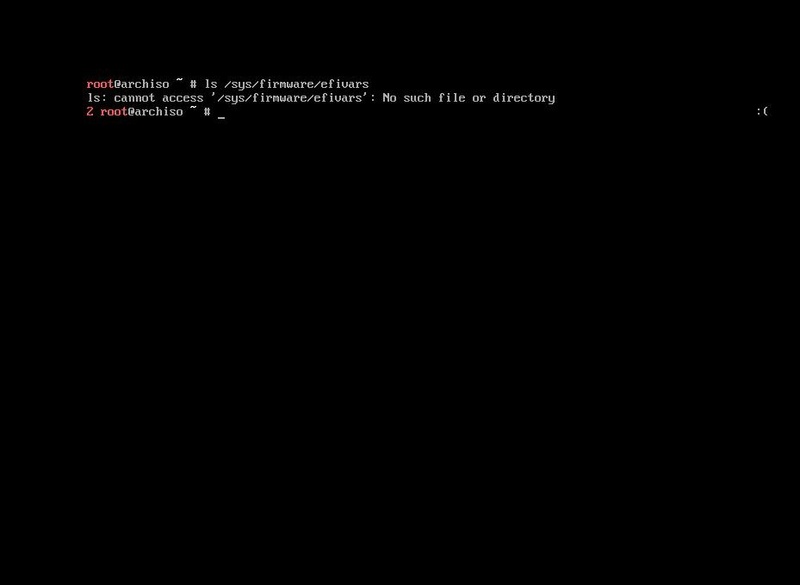 Re-edit after shutdown: we see these “ugly” lines upon shutdown as well on Arch Linux. We can do the fix later. It is just for cosmetic reasons. 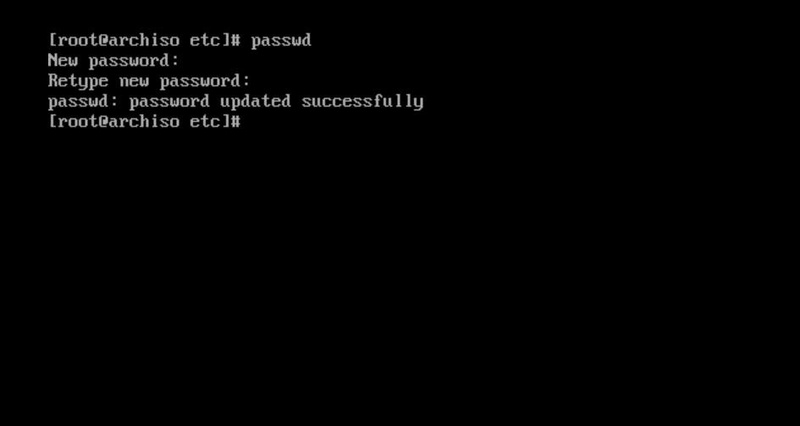 We add a password to our root account with this command. Choose your password wisely. Sometimes you see people add –recheck as extra check. It does not seem necessary. 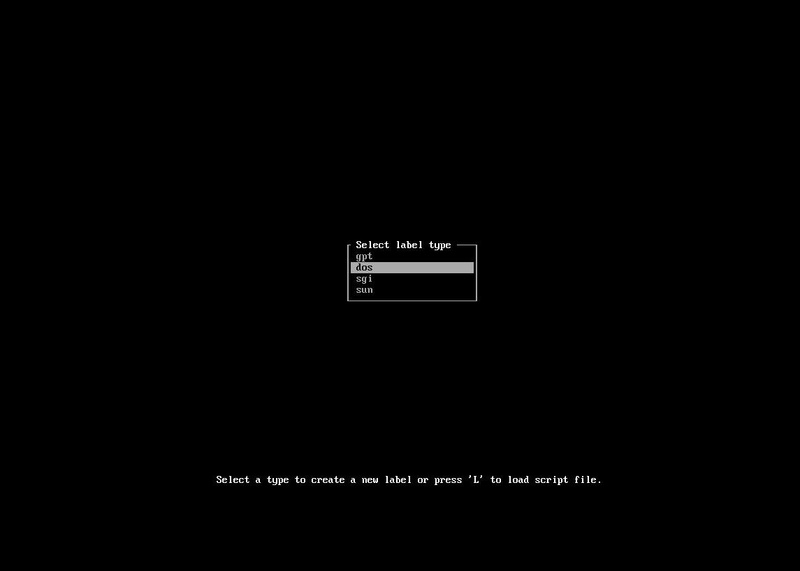 We still need to make the grub configuration file with this command in order to be able to boot lateron. Now we can think about rebooting our system. Type exit to get out of the chroot environment. And log back in with root as user and his/hers password. 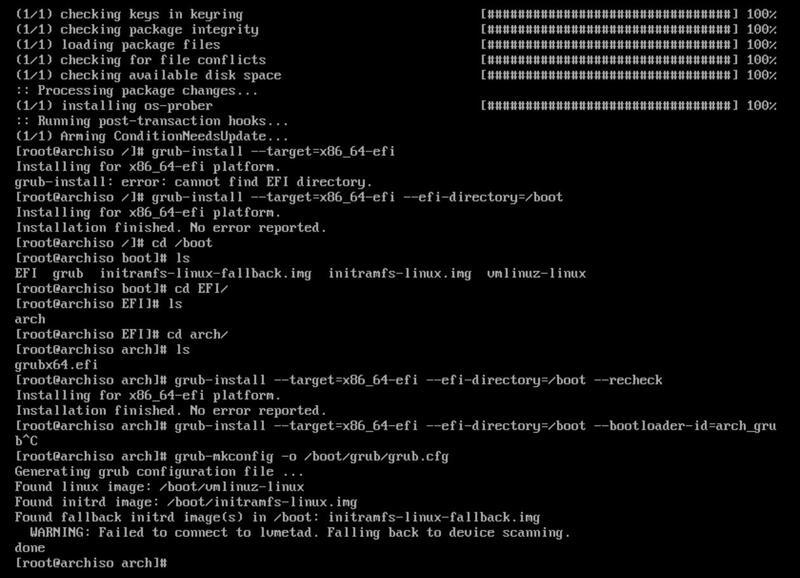 The image beneath is proof that grub has been installed correcly. We assume you have ArchLinux installed on Virtual Box and that you shutdown the virtual machine. When you restart Virtual Box you will be presented with this screen underneath. Select storage and make sure the iso of Arch Linux is deselected from IDE Secondary Master. 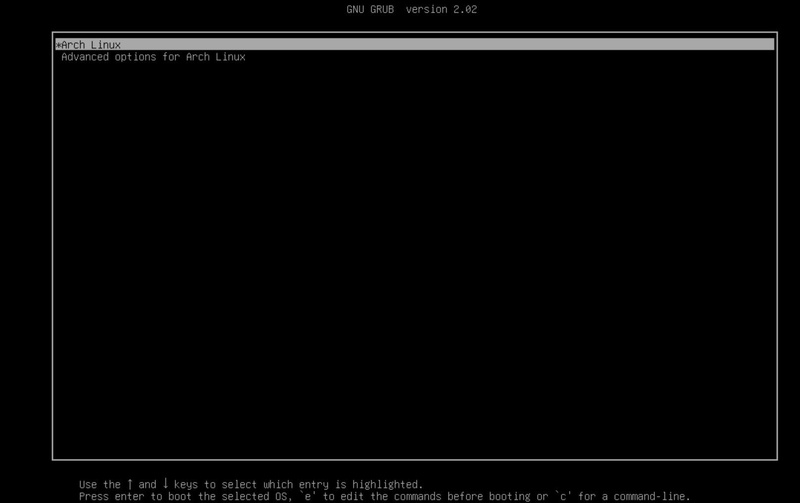 Then we start our Arch Linux and we will boot into grub.